The leakage in the course of natural gas transport is always a difficult problem keeping on at engineers.There are so many accidents like this at home because the leakage of natural gas leds to more frequent accidents. 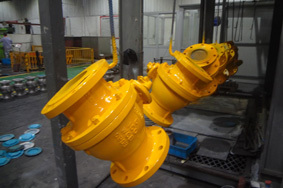 However,the leakage of natural gas is mainly due to the leakage of flange connection; and how to solve this problem is directly related to safety production. Due to many factors for the leakage of flange , for instance,electrochemical corrosion of buried steel pipes caused pipe to be perforated and leak as well as the cracking of welding position on the pipe gives rise to the leakage. But the vast majority of leakage positions from stations and pipelines happen in the flange connection such as malignant accidents on Shougang gas leakage. 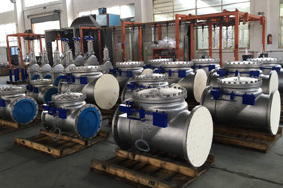 The main connection of equipment,piping connection and detachable joints on the UGTS is flange connection, especially using in numerous flange interface in the storage and distribution station, press-regulation facility, valve chamber,measurement facilities, metering plant,etc. 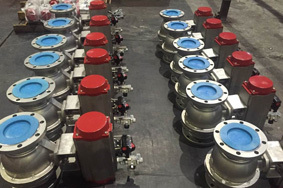 For usually one standard valve chamer has at least 5 flange interfaces ;one sets of standard pressure device with at least 14 ones;a storage and distribution with more ones, there is a large number of flange connection in the UGTS. Flange interface is usually composed of two pieces of flanges, bolts, nuts, and washers. The gasket is the main sealing of flange connection interface,which put pressing force on the flange sealing face under the role of the bolt pretightening force. From the perspective of the integral security of the flange, what is the most important should consider the sealing effect and sealing age of gaskets. So, how to choose a suitable gasket is very fatal to guarantee the flange tightness. but also is important assurance of ensuring whether the flange connection is reliable or not.